A case of financial irregularities after revealing a short-term loan from former President John Delaney has forced this drastic measure that has reached Parliament. The Irish Minister of Sports, Shane Ross, announced on Wednesday that all the board of directors of the Irish Football Federation (FAI) will submit his resignation for a case of financial irregularities that affects his former leader John Delaney. 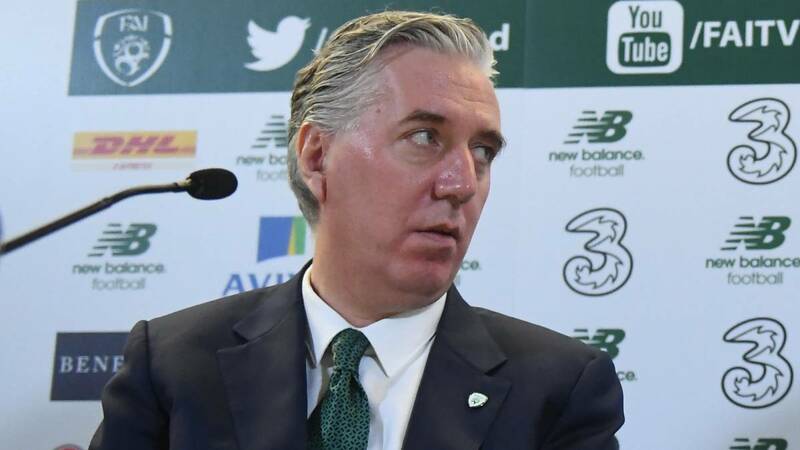 Delaney left his position of CEO of the FAI last March, after the Sunday newspaper "The Sunday Times" revealed that in April 2017 the president granted the Federation a "short-term loan" worth 100,000 euros to deal with a temporary problem of liquidity, as he himself explained. After leaving the direction of the FAI, Delaney assumed the executive vice-presidency, although it has also been forced to resign from this position as the controversy has grown, which has come to be investigated by a special committee of the Parliament of Dublin. Ross, an independent politician, said Tuesday in the Irish lower house that he feels disappointed by the "behavior" of the members of the federative board during these inquiries, in which it seems that "they were unable or unwilling" to answer "questions basic ". "There continues to be concern about the issue of the financial transaction (the Delaney loan) and the performance of corporate governance, which suggests that is far from being fixed," said Minister of Sports. The owner of the branch stressed that the board directive FAI has written to you in "the last hours" to inform you that has taken "decisive measures", among which is your decision to resign en bloc. "I believe that now must convene an extraordinary general meeting before July, as soon as the ongoing investigations have concluded, to facilitate the transition to a new board elected in transparent elections," Ross added. After meeting this scandal financial, the state organization Sport Ireland suspended the public subsidies received by the FAI, that add almost three million euros per year, an injection of money that will not reactivate until this issue is clarified. To date, the audits carried out, both internal and independent, have detected irregularities in the accounting of the FAI, while some of their actions have allegedly violated sections of the Irish Companies Act of 2014.
even the Irish Prime Minister, the Christian Democrat Leo Vardakar, intervened today in Parliament to require clarification re the economic situation of the Federation, before the concern that "shares," he said, "with the fans and the taxpayers" .